Mitchie "Little Tricky" Brusco from Kirkland, Washington is one of the most recognizable young skateboarders in the world. Triple Eight has protected Mitchie ever since he started skating and now we are proud to introduce a helmet and pad line that Mitchie inspired and helped design. The Little Tricky gear has all the same style and superior protection as our adult line, but is fitted for kids and has also been certified by the Consumer Product Safety Commission Certified for bicycle use. 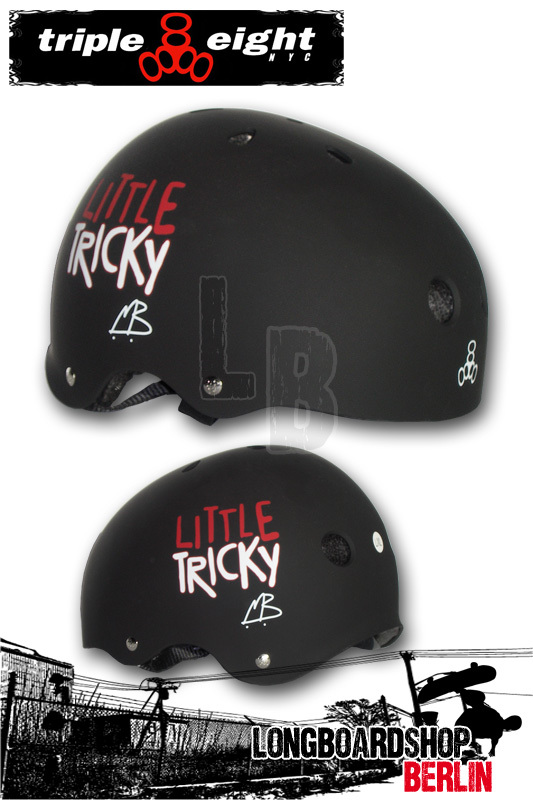 This helmet is ideal for kids engaging in skateboarding, biking, inline skating (roller blading), and all roller sports. When it comes to progression, Mitchie is on the cutting edge with Little Tricky keeping him protected.